The magnificent Resident Evil 2 made us realise that a remake can be so much more than a few new textures, a revamped interface, or a higher resolution. Capcom brilliantly captured the atmosphere of the original game, but made it feel brand new with modern visuals and deeper, more reactive combat. And it got us thinking: ignoring budgets, licenses, and reality, what other classic PC games of yesteryear would we like to see receive similar treatment? Well, obviously. In the final PlayStation-era Resi, Jill Valentine is stalked by the titular Nemesis: a fearsome bio-weapon designed to hunt down and kill the remaining members of the RPD's elite STARS unit. Who could ever forget the creepy, monotone moan of "Staaaaaaaaars" heralding its arrival. The game is set in a zombie-ravaged Raccoon City, with a story that runs parallel to RE2. It was criticised at the time for leaning more into action than survival horror, but I'd love to see the streets of Raccoon City given a similar makeover to the RPD building, and go up against a smarter, even more terrifying Nemesis. Even now, after all those terrible comic books and movies, I still find the idea of Aliens, Predators, and Marines fighting each other pretty exciting. And so, ignoring that soft reboot in 2010, I'd love to see the first Aliens vs. Predator get a confident reimagining. The story is pretty corny, but that's mostly because of the delivery in those endearingly bad FMV cutscenes. They could keep the story pretty much intact, and with modern technology powering the visuals and distinct systems of each playable character, the hit-and-miss AvP series might finally have something worthwhile to offer the world again. Westwood's Blade Runner game is a magnificent thing, perfectly replicating the melancholy, rain-soaked atmosphere of Ridley Scott's cyberpunk classic. The story mirrors the source material a little too closely, but it's currently the best (and only) way to explore that world in a videogame. I'd love to see a new version, keeping the same story, detective elements, and action set-pieces, but shifted to three dimensions. Imagine exploring vivid, detailed 3D recreations of Animoid Row or the LAPD building as replicant hunter Ray McCoy, really feeling like you've stepped into that grimly beautiful future dystopia. When I think of the Star Wars games that have come before, and what we have now, I despair a little. From Dark Forces, Jedi Knight, Star Wars Galaxies, and KOTOR to Battlefront 2 and, uh, that's it? Which is why I think it's time for a lavish, expensive remake of the original Knights of the Old Republic. BioWare's RPG is still one of the best Star Wars spin-offs ever, with brilliant characters, a memorable story, and loads of great locations. 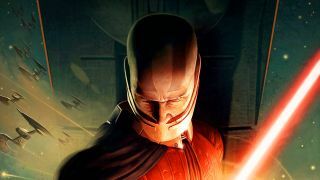 Think of KOTOR with the visual fidelity, nuanced character animation, and environment art of a modern game. It would certainly make up for Mass Effect Andromeda. For many, Alone in the Dark is the true pioneer of the survival horror genre, not Resident Evil. Capcom certainly popularised the concept, but Infogrames' creepy horror game had it beat by several years. Set in a spooky old Louisiana mansion, Alone in the Dark lets you play as two characters: Edward Carnby or Emily Hartwood. Its story, of dark rituals and ghost pirates, is pretty pulpy, but I think a particularly talented developer could take this subject matter and make something excitingly contemporary out of it. And I'd love to see that sinister, ghoul-filled mansion brought to life in a modern game engine. I've tried with System Shock 2, but I really can't get past how old and creaky it is. And this is coming from someone who still regularly plays and enjoys the original, unmodded Deus Ex. That's why I would be all over a reimagining of the game, and a more atmospheric, detailed Von Braun to explore. The basic lighting and low-poly monsters dampen the horror somewhat, even if it does, in places, still have the power to scare. But exploring a contemporary take on that stricken starship would be an incredible experience, and a more accessible, palatable way to experience that wild (albeit widely spoiled) story all over again. Hey, hopefully it'll be next on Nightdive's list after the System Shock remake releases. I really don't understand why there aren't more modern takes on the six degrees of freedom shooter. So it's time, I think, for someone to bring back Descent, but give it a contemporary makeover. I still want those twisting, claustrophobic tunnels and that fast-paced, vomit-inducing combat, but with, perhaps, a much darker atmosphere. Imagine how dark and intimidating that off-world mine full of aggressive, virus-infected mining robots would be with modern atmospheric lighting. They could lean more into the horror aspect, making it feel like an actual descent into somewhere truly dark and horrible. The original Baldur's Gate may be pig ugly by modern standards, but I still revisit it every couple of years, such is the timeless power of its writing, characters, and setting. But man, just imagine exploring that slice of the Sword Coast in full 3D. I'd love to see the Bhaalspawn's story reimagined, retaining many of the aspects that make the BG games special, but bringing a little touch of The Witcher 3 or Dragon Age to it perhaps. Viewing grand, iconic locations such as Candlekeep or the enormous city of Baldur's Gate itself through the eyes of your character, rather than from above, would be absolutely thrilling. Yes, it's another Star Wars game, but PC gaming needs fantastic Star Wars games again. And that's why I'd be into a remake of the original Dark Forces, following mercenary Kyle Katarn as he retrieves the Death Star plans and joins the Rebel Alliance. Yeah, Rogue One totally wiped Kyle from Star Wars history, but I think the game could make it clear that this is part of the alternate 'Star Wars Legends' timeline. A super modern, polished, beautiful retelling of the Dark Forces story would be incredible, and hell, if it's a success, why not remake the Jedi Knight series too? Kyle Katarn can save us from all these average Star Wars games.